Pianist Jacob Greenberg's work as a soloist and chamber musician has received worldwide acclaim. As a longtime member of the International Contemporary Ensemble (ICE), he has performed throughout the Americas and Europe. His solo concert series, Music at Close Range, shows his equal commitment to classics of the repertoire. A leading pianist of modern song, he has toured extensively with soprano Tony Arnold; their 2013 recording of Olivier Messiaen's Harawi has been singled out by critics. Other ensemble performances include MusicNOW, with members of the Chicago Symphony, and Contempo at the University of Chicago. As an orchestral player, he has also appeared with the New York Philharmonic, Israel Philharmonic, and Australian Chamber Orchestra. In addition to his solo albums for New Focus Recordings, which feature works by over a dozen composers, Mr. Greenberg has recorded for the Nonesuch, Sony, Bridge, Naxos, Mode, Kairos, Centaur, Tzadik, and New Amsterdam labels. Live performances have been heard on WQXR New York, BBC Radio 3, WFMT Chicago and Radio Netherlands. Mr. Greenberg is also a record producer, and has completed discs for major domestic and international labels. He is the director of ICE's in-house Tundra imprint. As a composer, he makes recorded pieces with spoken and sung texts. Recent highlights include a guest performance of works of György Kurtág at the International Summer Courses in Darmstadt, Germany, under the composer's guidance; a recital tour with flutist Claire Chase; Boulez’s Sur Incises with the Seattle Symphony; and solo and concerto appearances with ICE at Lincoln Center's Mostly Mozart Festival. 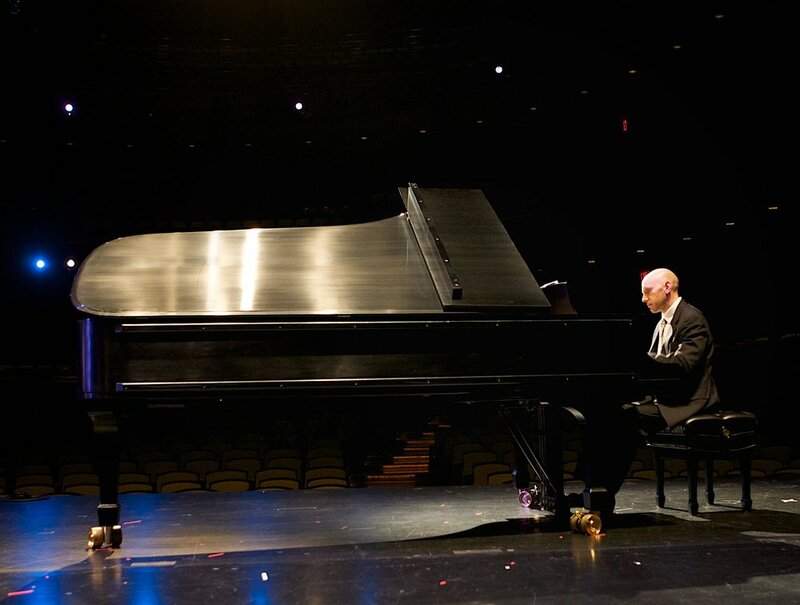 Mr. Greenberg is on the faculties of Hunter College, City University of New York, The Juilliard School, and the Tanglewood Music Center. He has also taught at the State University of New York at Buffalo. He is a graduate of Oberlin College, where he earned degrees in music and religion, and he completed his master's and doctoral degrees at Northwestern University, where he studied with Ursula Oppens. He lives in Brooklyn, New York.